“The British are coming! The British are coming!” so cried the famous Paul Revere on the evening of April 18, 1775, warning the colonist that troops were marching into the countryside northwest of Boston. The rest is history so they say. 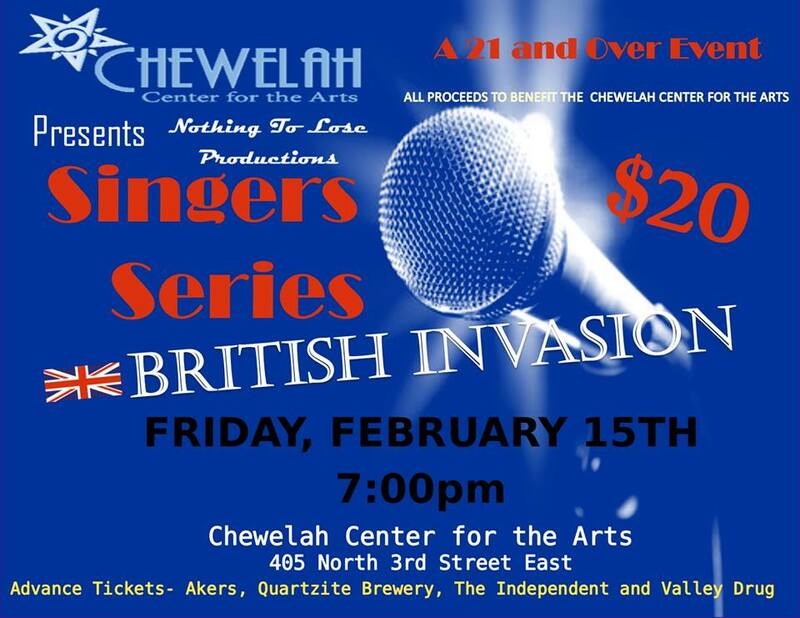 Fast forward to Friday, February 15, 2019, at the Chewelah Center for the Arts, and get ready for another British Invasion!!! Nothing to Lose Productions will host an evening of music written by some of the most famous British musicians to ever hit the airwaves – the Beatles, Petula Clark, Peter and Gordon, Marianne Faithful, LuLu, Dusty Springfield, the Animals, and Herman’s Hermits to name just a few. the door which opens at 6:30 p.m. The British Invasion begins at 7 p.m. and is a 21 and older event; beer and wine will be available for purchase. All proceeds will benefit the continuing renovation of the Chewelah Center for the Arts.